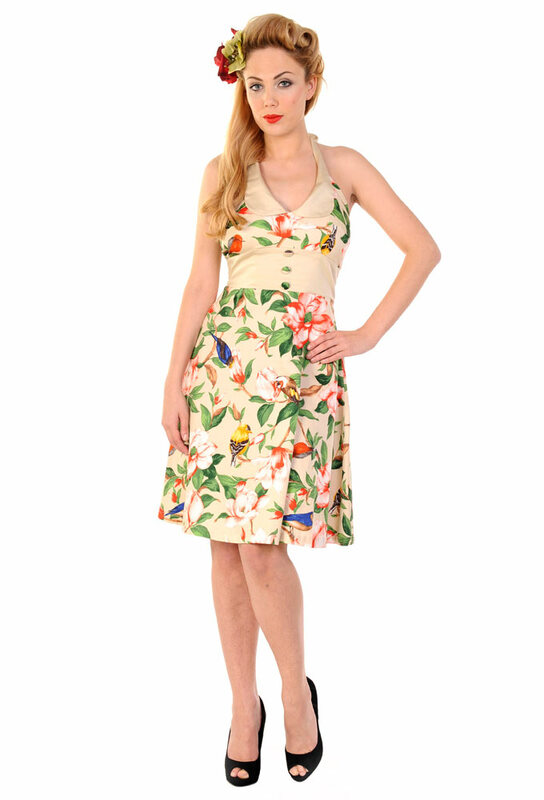 Banned Apparel's Beige Bird Button Dress, features a lovely bird and floral print on beige cotton fabric. 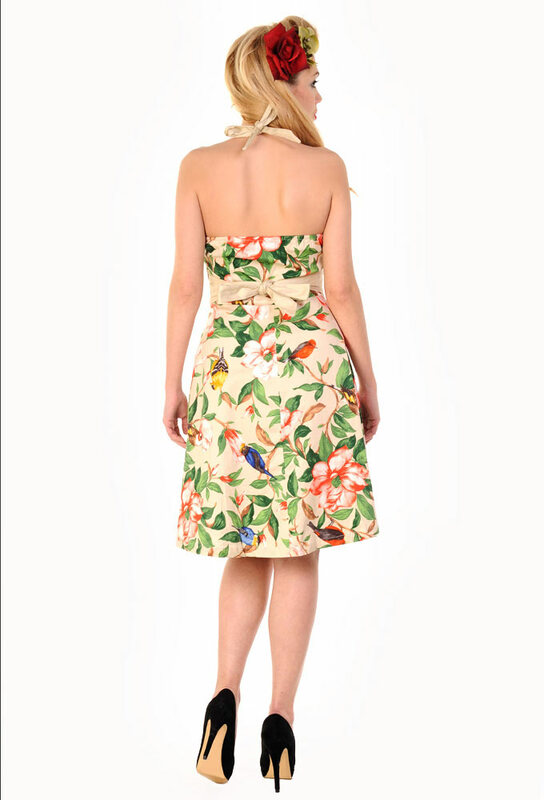 Halter style adjustable neck with beige collar accent , button detail down the front and bow in back. Imported from the UK.